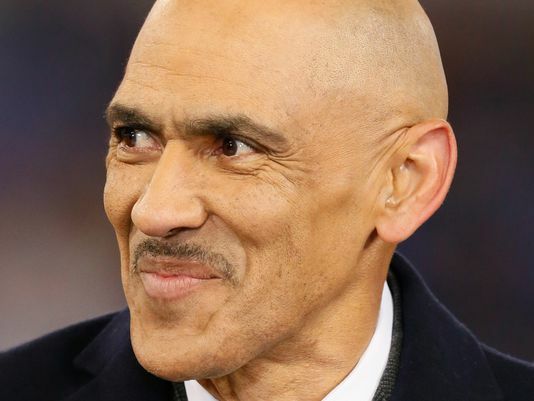 *Tony Dungy attempted Tuesday to clarify remarks he made regarding Michael Sam, saying the openly gay linebacker who was drafted by the St. Louis Rams “absolutely” deserves a chance to play in the NFL. The former Tampa Bay Buccaneers and Indianapolis Colts coach said he would be concerned only with the distraction that media coverage of Sam’s attempt to make the roster would create if he were his coach. The time frame of when Dungy made his remarks is in question. Tribune reporter Ira Kaufman told “The Dan Patrick Show” on Tuesday afternoon that he talked to Dungy “a week or two back.” Also, Winfrey’s planned documentary of Sam’s rookie season was postponed in mid-May — long before Dungy was interviewed by the Tribune, according to Kaufman. In the Tribune interview, Dungy, who is an NFL analyst for NBC, said of Sam: “I wouldn’t have taken him. 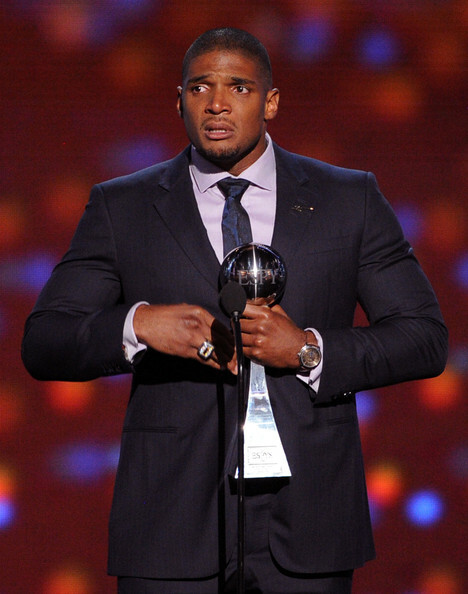 Not because I don’t believe Michael Sam should have a chance to play, but I wouldn’t want to deal with all of it. The remarks caused a stir for Dungy, who advocated for quarterback Michael Vick’s return to the league after he was convicted in 2007 on dogfighting charges. Dungy became a mentor to Vick. In his statement Tuesday, Dungy implied he should have been asked particular follow-up questions by Kaufman. “I have been asked all of those questions several times in the last three months and have always answered them the same way — by saying that playing in the NFL is, and should be, about merit,” the statement read. “The best players make the team, and everyone should get the opportunity to prove whether they’re good enough to play. That’s my opinion as a coach. “But those were not the questions I was asked. What I was asked about was my philosophy of drafting, a philosophy that was developed over the years, which was to minimize distractions for my teams. “I do not believe Michael’s sexual orientation will be a distraction to his teammates or his organization. I do, however, believe that the media attention that comes with it will be a distraction. Unfortunately we are all seeing this play out now, and I feel badly that my remarks played a role in the distraction. Sam was selected in the seventh round by the Rams. The press or whoever keeps up confusion at all times the gay police are always looking and searching to comment on everything a person say freedom of speech we all have a right to say what we feel Dungy did not say anything bad stop trying to make a person say what the press or the gay police want that person to say this is America.